HISTORY. In the 15-year span that GM produced the square body pickup, many trim levels, options, special packages and graphics kits were launched. One of the rarest however, is the 1975 red, white and blue strobe pattern. Why is it so rare? Because only three were ever made. When Joe Yezzi of Squarebody Syndicate got his hands on the last survivor of the 1975 Indy Haulers, he quickly saw something special. 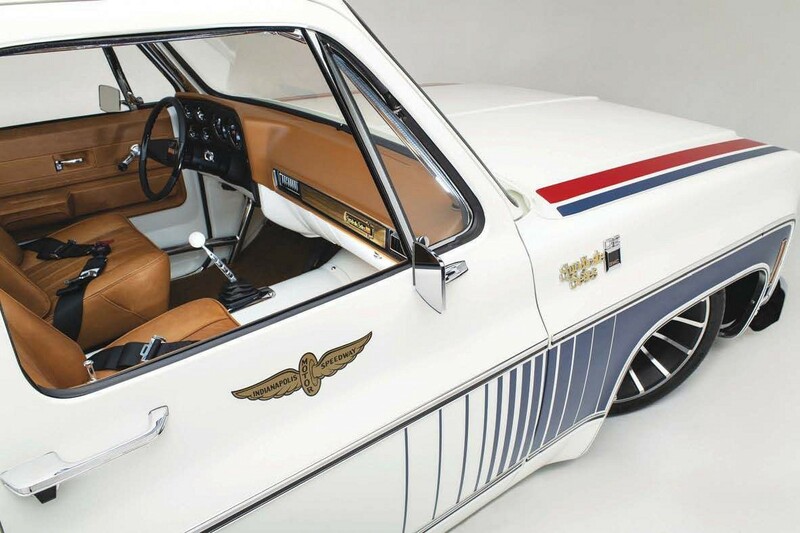 Initial plans were to turn the 1975 GMC long bed into a modern-day hotrod; however, modifying such an important piece of square body and Indy 500 history didn’t feel right. So instead, Joe and the team began to document the truck and its features to create a truly one-of-a-kind tribute truck. 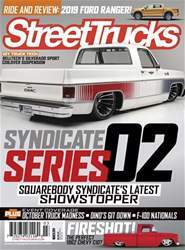 A few different concepts floated around the shop, but a call from Phil Gerber of The Roadster Shop wanting to team up with SBS to launch a Syndicate Series Spec Chassis finally confirmed Joe’s vision for the final design of SS02. 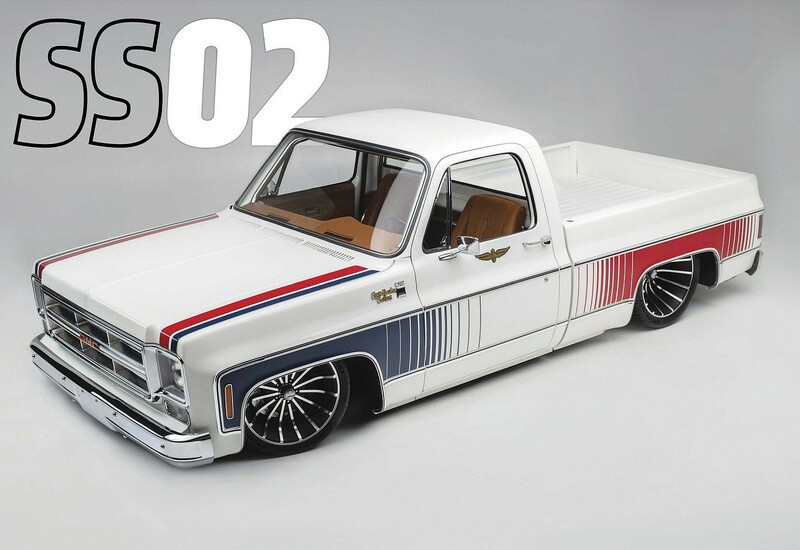 Since GMC had planned to produce 500 replicas for 1976 but never did, Joe would build his own version of a tribute “super truck” with the help of the some of the highest quality products in the industry, with functionality first, reliability second and aesthetics third as the main goals. He quickly located and purchased a 1976 GMC Sierra Grande 15. Immediately Joe, Rob Yezzi and Joey Carberry, began the tear-down process to see what could be used, what should be scrapped and what needed to be modified. Joe quickly created a wish list of the best parts and accessories needed to complete the super truck; meanwhile, Rob got started with the many hours of painstakingly tedious fitment of everything from internally run wires and airlines, to one-off brake and clutch lines due to the inner firewall location of the Wilwood assemblies.